Friday and Saturday, Oct. 21 and 22 — 7:30 p.m.
Sunday, Oct. 23 — 3:00 p.m.
Loveable rascal and unrepentant con man Harold Hill is an expert at parting fools from their money. When a fellow traveling salesman insists Hill could never bamboozle the proud people of Iowa with one of his famous schemes, the challenge is too tempting for Hill to resist. He tells the residents of River City they must establish a boys’ band to counteract the evils of the local pool hall, and they should entrust the band’s training to him. 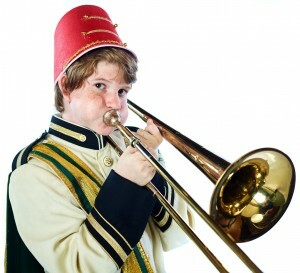 Naturally, Hill has no musical training and no intention of leading a band. He plans to abscond with the uniform and instrument money at the earliest opportunity. A merry series of escapades ensues in which suspicious townspeople — including the mayor, the school board, and Marian, the town’s librarian — repeatedly demand Hill’s educational credentials, while Hill delays and dodges them. But the longer Hill remains in town, the more he’s enchanted by the savvy and attractive Marian. Can the charming librarian inspire the con man to change his ways, or will Hill stay too long, becoming snared in his own web of deceptions? Praeclara presents The Music Man in partnership with Arkansas Festival Ballet and Wildwood Park for the Arts. The three organizations will offer an arts outreach program in conjunction with this show, which includes sending actors, dancers, and musicians to visit classrooms at Wildwood’s partner schools and other participating locations around central Arkansas. 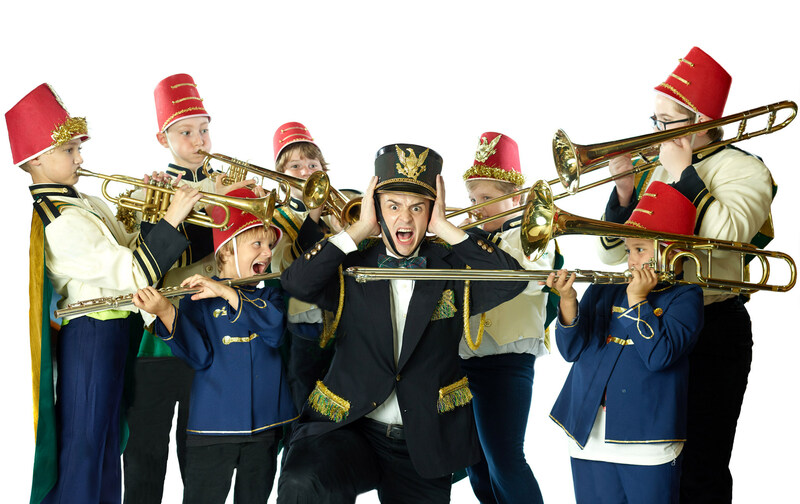 The outreach program will culminate in a special matinee performance of The Music Man at Wildwood on Thursday, Oct. 20 at 10 a.m. exclusively for school children and their teachers. Schools or teachers wishing to participate in the arts outreach program may schedule actor, dancer, or musician visits by contacting Dr. Rachel Miller, educational programs coordinator at Wildwood Park for the Arts, at 501.821.7275 ext 259. 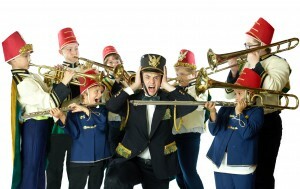 Photo credits: Donovan Riddick as Winthrop Paroo (top); Jonathan Pillow as Tommy Djilas surrounded by the River City Boys’ Band. Photography by Kelly Hicks.